Use the form below to contact accommodation Villa Avalon directly. 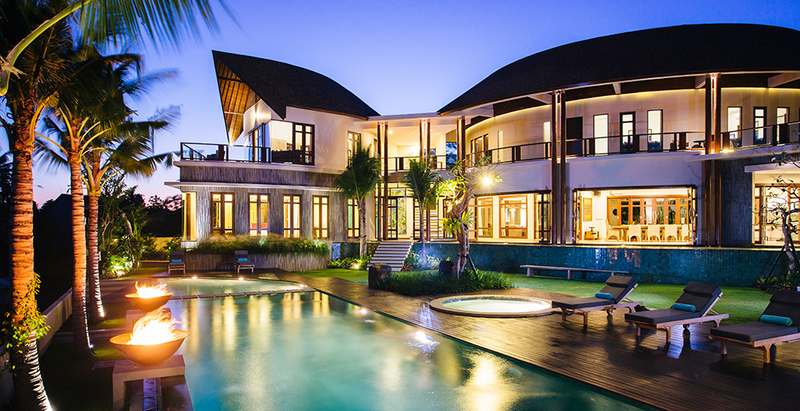 Avalon Bali, Luxury 7 Bedroom Villa in Canggu ! 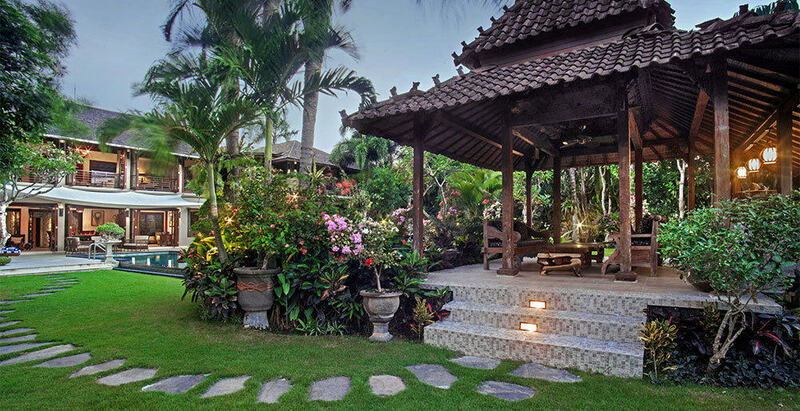 Avalon Bali Villa is situated on the southern shores of Canggu, in the beautiful island of Bali, Indonesia. 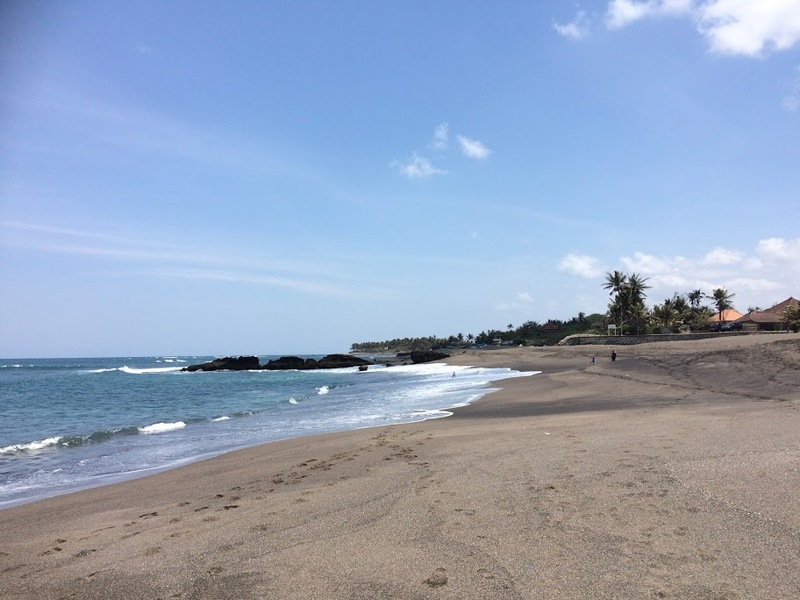 It is strategically located just a few meters away from Berawa Beach, perfect for surfing and other beach activities like swimming, beach volleyball, picnics, or simply basking in the sun. The sea is abundant with coral reef sand it is home to a diverse selection of marine life. 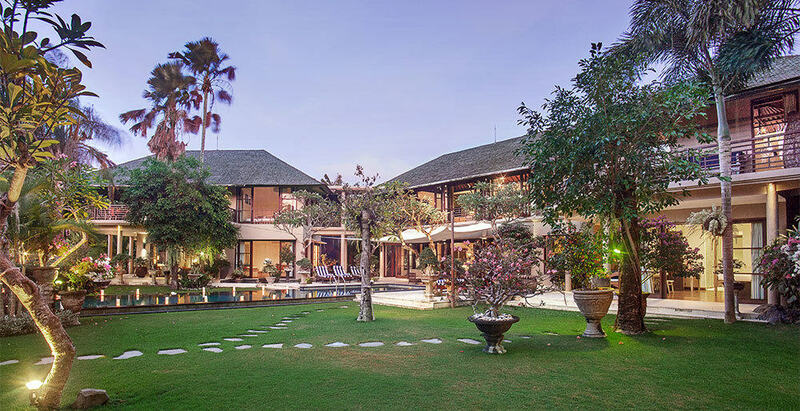 It’s rare to find such a well-established villa in such a quiet spot, only 50m from the beach and yet just a few minutes’ drive from downtown Seminyak. Just beyond the entrance to Villa Avalon I is La Laguna – a prize spot for sunset cocktails, and a short stroll along the sand brings you to Mozaic and Potato Head beach clubs and the W Hotel. 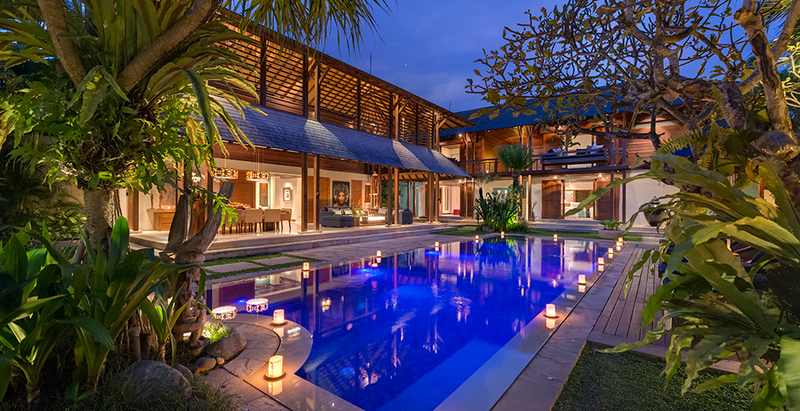 Four-bedroomed Villa Avalon I is the largest of three independent properties on this grand estate designed by award-winning Bali architect, Popo Danes. When rented as a whole, the Villa Avalon estate offers seven spacious bedrooms and makes a paradisical wedding venue. 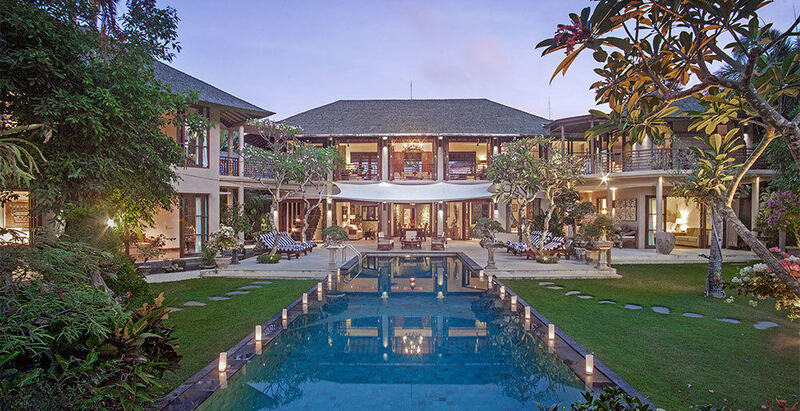 From a traditional gateway, steps lead up to Villa Avalon I’s open-sided living room, which is housed in one of three interconnected pavilions that fan out around the 15-metre swimming pool. 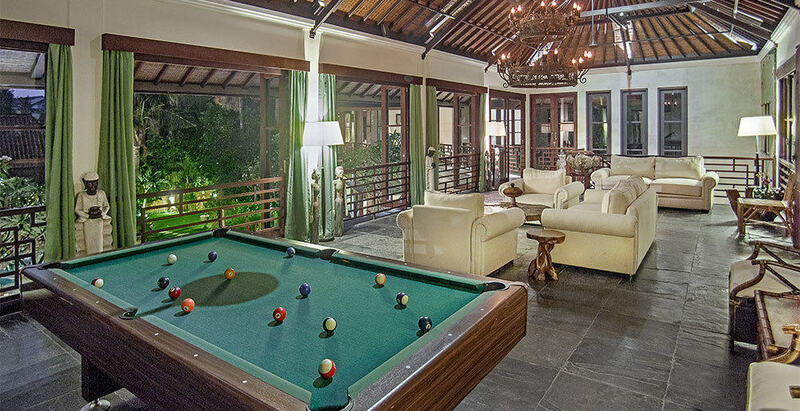 This upper level room is an elegant fan- and sea-breeze-cooled space comprising a large seating area and a games corner complete with pool table. Below is a dining room where up to 14 guests can enjoy meals at the three-metre table. A media room offers air-conditioned comfort for movie watching, catching up on emails or simply having a quiet read. Outside, the antique poolside joglo creates a living space in harmony with surrounding nature, and an alfresco dining table under a cool canopy provides an informal area for convivial meals. To either sides of the living pavilion are the bedroom suites. All four of Villa Avalon I’s air-conditioned bedrooms provide sumptuous sleeping space, and each has a sitting area with TV and DVD player. 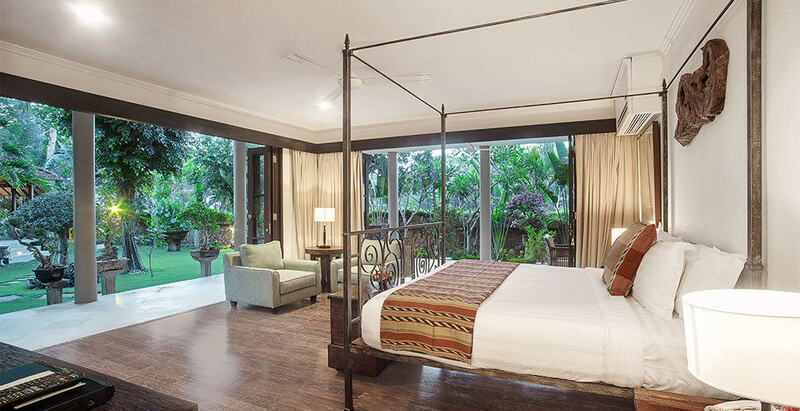 The two palatial master suites are furnished with four-poster king-size beds resting on polished teakwood floors. The glamour continues into the air-conditioned bathrooms, which feature statement bathtubs as well as rain showers and huge walk-in wardrobes. Both master suites open onto shaded furnished terraces. A pair of air-conditioned guest suites occupy the second sleeping pavilion, both furnished with queen-sized beds. 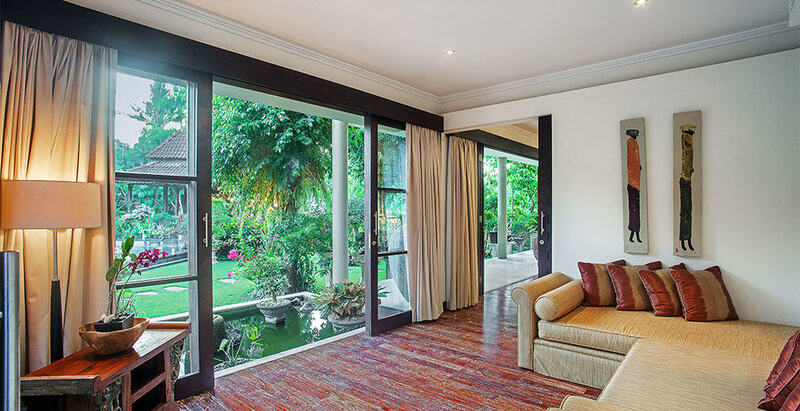 The ground floor suite opens onto the garden while the upper room features a spacious garden-view terrace. 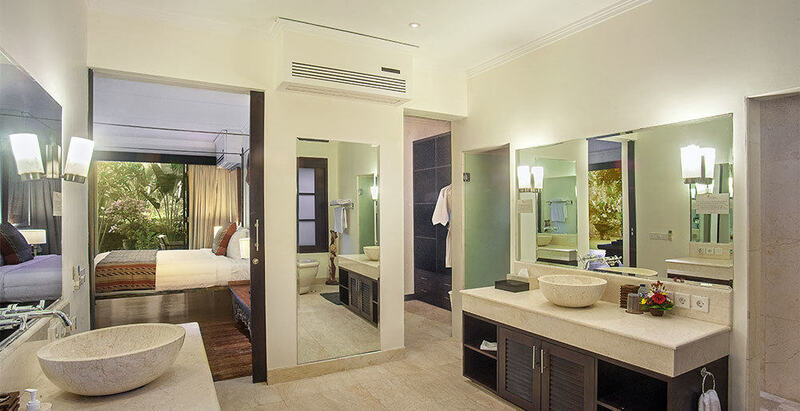 Both ensuite bathrooms are fitted with rain showers and walk-in wardrobes, and there’s a second shower and a bathtub in a small courtyard attached to the ground floor room. An efficient and friendly ten-strong staff (including a competent chef) work discreetly in the background to provide stellar service from morning until night. 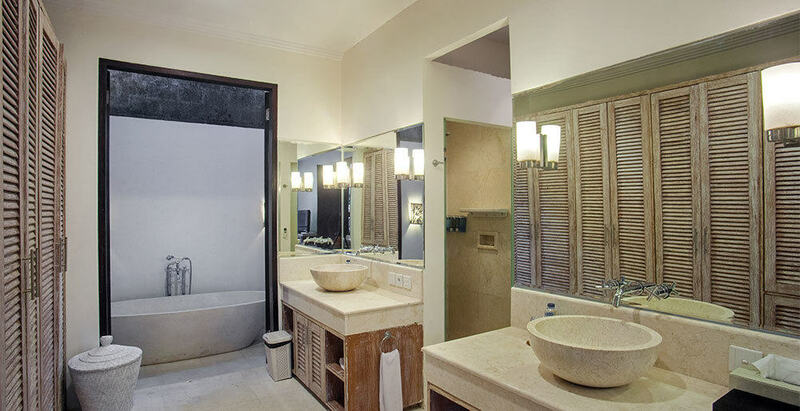 The nightly tariff represents the cost per night for a maximum of two guests per bedroom. All rates are cost per villa per night, shown in US Dollars and subject to an additional 15.5% for Service Charge and Government Tax. Location: Batubelig, Canggu, Bali, Indonesia. Living areas: Open-sided upper-level sitting room; air-conditioned media room; indoor dining for 14; outdoor dining for 8; pool deck for sunbathing, multiple bedroom terraces, poolside joglo with seating; garden gladak. Estate staff: Villa manager; chef; butlers/housekeepers; gardener/pool attendant; engineer; guards providing night security. Masseuse, spa therapist and babysitters – extra, on request. Dining: A variety of Indonesian and international dishes prepared from a suggestion menu. Requests accommodated (including special diets). Communication: WiFi internet access; PABX room-to-room phone system; computer and printer on request. Entertainment: 52-inch flat-screen TV and DVD player in media room; 37-inch or 42-inch flat-screen TVs and DVD players in every bedroom – all with satellite channels; zoned music system; books and puzzles; pool table. 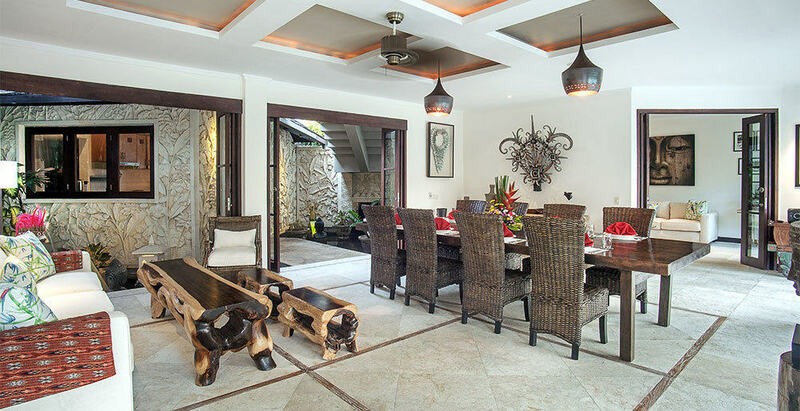 For families: Villa Avalon is well-equipped for families. Facilites include a high chair, baby cot, pool floating toys, puzzles. Spa: In-villa treatments selected from a comprehensive spa menu can be carried out by professional beauty therapists (extra cost applies). Additional facilities: In-room safes, barbecue. 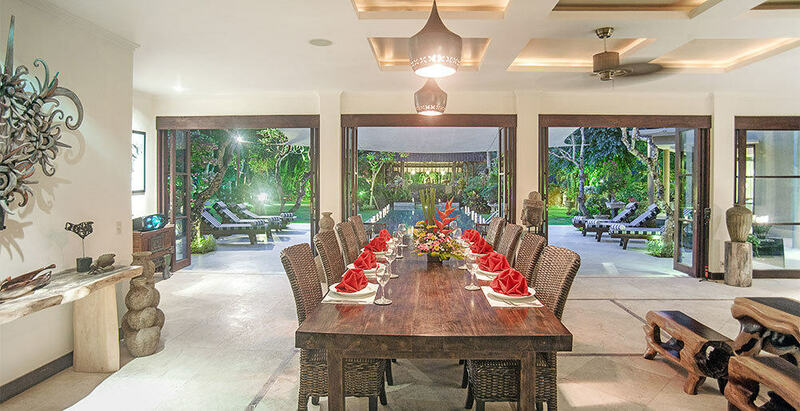 Transport: The villa is so close to Seminyak and taxis can be called on demand. Weddings & events: Events for up to 100 guests may be held at the villa, with advance notice. From USD 325 for 2 Bedroom use. 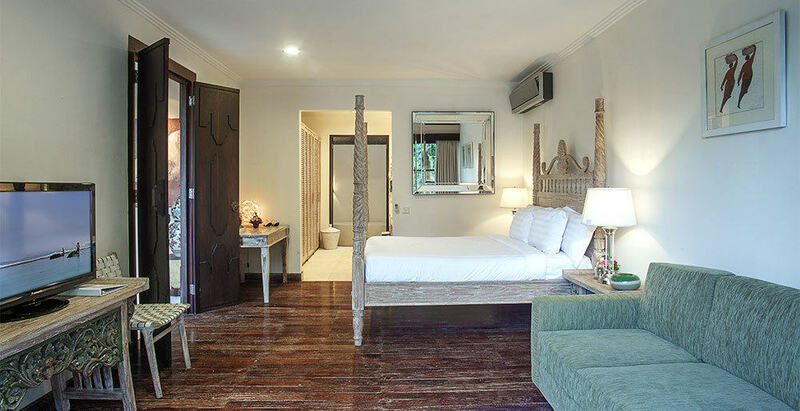 The nightly tariff represents the cost per night for a maximum of two guests per bedroom. All rates are cost per villa per night, shown in US Dollars and subject to an additional 15.5% for Service Charge and Government Tax.